It’s been a while, hasn’t it? Since the last Friday Flash Review, I mean. I don’t know what happened, really – I just lost momentum with the whole ‘first person present tense continuous stream of consciousness’ thing that it required. But here we are, on a Friday, with a Flash Review, so I think we can safely say that it’s back. Yes, Friday’s are once again the day for ridiculous statements, wandering thoughts and nonsensical asides. You can switch your brains off round about…….now. “COR! Cor blimey! That’s an expensive soap! You wouldn’t want to drop it in the bath, that’s for sure. £100 for 120g, or £30 for 35g, or £15 for 10g. 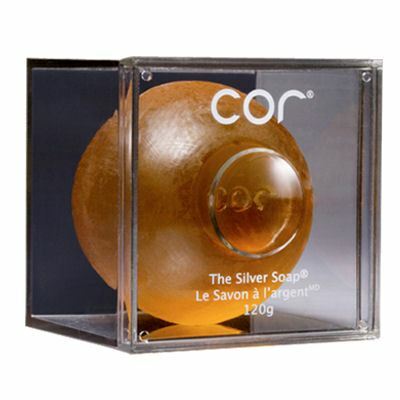 If you wanted to pay a ‘normal, soap-appropriate’ price, you’d end up with approximately half a sliver of Cor. COR! Sorry. I will stop making COR! noises quite shortly – it’s just so much fun. Now I know what it’s like to be a scaffolder or a roofer – CORRRRR! 2) Cor also contains marine Collagen, Sericin and Chitosan to ‘add a youthful appearance’, ‘form a film’ and ‘even out skin tone’, respectively. 3) It also contains soothing Jojoba and Aloe, Hyaluronic Acid (hold moisture to the skin) and Avocado for vitamins. Now, that all sounds very impressive but I am slightly torn (as usual!) over some of the claims made in the product description. I’m dubious, you see, as to how much an ingredient can do if you are rinsing it off almost immediately. Can all of these bits and bobs (which appear to have been micronized so that the particles are teeny tiny and can perform to the best of their capabilities ‘upon reaching the target layer’) (Houston, this is Apollo Thirteen. We have reached the target layer)) really work enough magic to justify such a huge price tag? Let’s give it a little test, shall we? Lather is massaged over my face, including the eye area (brave, I know – just call me your human guinea pig!) and left on for the recommended two minutes. A little longer, actually. Rinsing is pretty easy (you just splash water in the general direction of your face) and hey-presto – we have a result! My skin is quite tight – not uncomfortably so, but it definitely is. I get that feeling with many rinse-off cleansers, so it’s nothing shocking, but I was expecting the ‘finish’ to be a little more moisturised, what with the hyaluronic acid ‘n all. My skin is sparkly clean and bright, but I’m not sure, after one use, whether this is a great success story. 1) Has anyone here tried this soap?